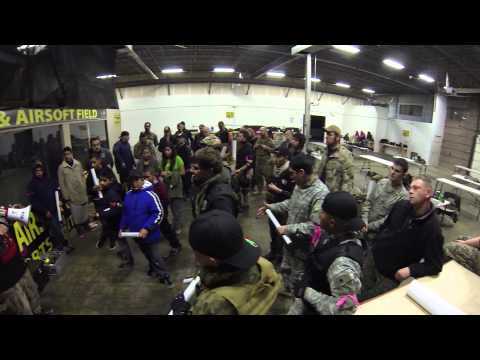 15,000 Square feet of Indoor airsoft excitement! 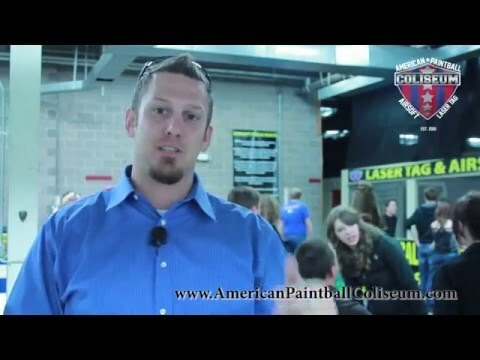 Huge Indoor Airsoft Fields in Colorado Springs! Put your adrenaline in overdrive! American Paintball Coliseum is the only place that lets you bring your video games to life on over 15,000 square feet of indoor airsoft insanity! Our fields are specially designed to give each player an incredible, unique experience with each game. Playing airsoft is the perfect activity for birthday parties, corporate events, and any other occasion that brings friends and family together. Our rental equipment is custom-made for performance which means we always have the best rental equipment available to play with. 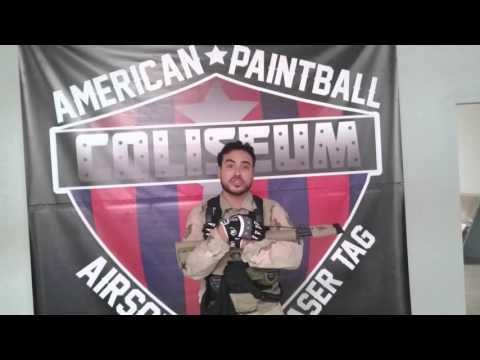 American Paintball Coliseum is the best place to go for an action packed airsoft adventure so get up, get out and go play! 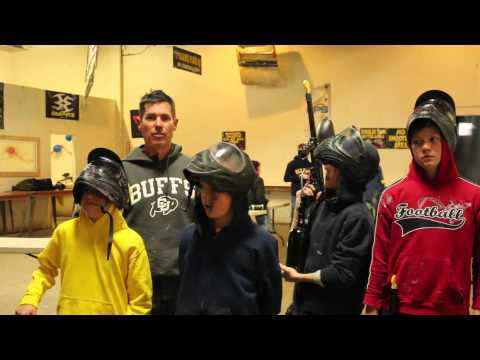 Book indoor airsoft in Colorado Springs! Airsoft is a popular shooting sport where players create teams to play against each other in an exciting and fun environment. There are various game types such as team versus team elimination or a classic medic game where an objective has to be reached in order to win the game. The airsoft guns are generally powered by a battery and shoot small plastic BB’s that do not leave a splat mark where they hit. The indoor airsoft fields at American Paintball Coliseum are specially themed to bring exciting playing space to everyone that steps through the door. 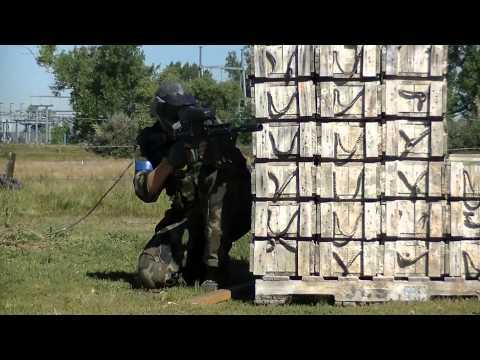 Featuring over 15,000 square feet of rooms, barricades, barrels, cars, and airplanes, we are the #1 place for year-round airsofting in Colorado Springs. We are passionate about giving you the coolest fields possible to play on. Sneak through a vine-covered, downed airplane or take a chance running through the town, dodging incoming fire and ducking behind cars for cover. We want your experience to be incredible, and this adds a whole new layer of fun when you come into play with your friends and family. Every year, American Paintball Coliseum pulls out all the stops and runs our largest airsoft game: Battle of Chernobyl! Based in a nuclear apocalypse scenario, this giant two day game features a night-time zombie hunt, day-time scenario missions, customized event patches, a yearlong outdoor pass, and much more! This event is held at our outdoor field in Brighton, Colorado and has over 100 players that attend. For registration and more information, check out the event page here. If your group needs rental equipment then we do ask for reservations at least 24 hours in advance. This allows us to be prepared to give your group the absolute best service and experience possible. A $5 reservation deposit is taken per player for the reservation deposit. The deposit is then deducted off your total sale when you arrive to play. Reservations can be made by clicking here or calling us at (719)597-4796. What are the field rules for bringing in my own equipment? Many players that come in to play airsoft have their own equipment. When bringing in your own equipment, there are a couple things we look for in order to make sure everyone is going to be safe. At American Paintball Coliseum, we require a barrel bag over the end of every gun that is being held within our staging area. Our airsoft store sells barrel bags for $6 if needed. Players that choose to bring in their own face protection must have full seal eyewear rated z87+, metal mesh or hard plastic bottoms, as well as covered ears. What is the velocity limit of your airsoft field? Every gun that is allowed on the field must shoot under 355 feet per second with a .20 gram BB. Any guns that shoot hotter than this will not be allowed to be played with on the fields. How do the airsoft game work? Are there different games we can play? Our games work in rotation with all the groups that are present at that time. Each game usually lasts about 5 minutes and includes various game types. Our field supervisors will help organize the games, watch for safety, and keep time. Once the game is over, the group that was on the field is free to socialize, strategize, and take a break until it is their turn to play once again. How old do you have to be in order to play airsoft? We usually recommend that players looking to participate in airsoft are 10 years old and older. The word airsoft can be confusing sometimes. Playing airsoft includes getting hit with a plastic projectile that is very similar to playing paintball. Paintball and airsoft are very similar when it comes to the pain of getting hit, so it is still recommended to wear long sleeve clothing when coming to play. You are welcome to bring in our own food and drink or you may purchase food from our snack bars. Want to make things easy? Get everyone a hotdog lunch for only $5 per player! Interested in pizza? 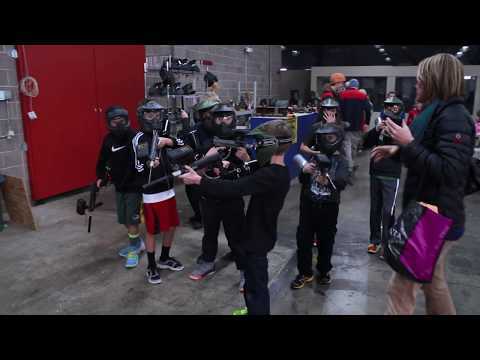 Contact us about our birthday party airsoft package! Got airsoft Questions? We have answers!